The cluster of trade fairs in Milan that was held under the umbrella of the Innovation Alliance brought together some 3,200 exhibitors and 105,000 professional visitors from various segments of the plastics, packaging and printing industries, plus around 45,000 students and other visitors. Bringing five exhibitions under one roof has been one of the – here still succesfull – attempts to combat falling attendance numbers at most of the West’s international trade fairs. 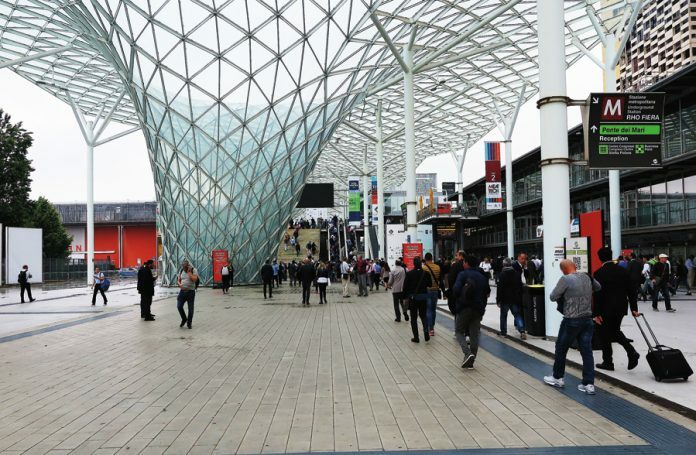 It has also been a way to dedicate the whole of Rho Fiera Milano’s huge fairgrounds, the second largest in the world, to a semblance of similar industry sectors. 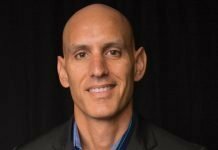 Most visitors, however, still had to be selective in calling on one part or another, because the sheer size of the event made it virtually impossible to cover all in the four days available. As a result, the six largest halls making up the Plast fair have been well attended on each of the four days. The two smaller halls reserved for the Print4All part were relatively well attended as well, but traffic in the eight halls covering Ipack-Ima, Meat-Tech and Intralogistica remained rather calm – too calm, according to many of the exhibitors we spoke to. The large international brands and Italian manufacturers dominated these fairs, albeit with a strong presence of Chinese, Iranian and Turkish companies. At Plast, around 1,500 exhibitors showcased anything from resin extrusion and welding to thermoforming, blow molding, injection molding and product design for the packaging, construction, automotive and electronics industries. For Italian machine manufacturers, Plast has been one of their main exhibition windows to the world, even though exhibitors from abroad also used it to reach the local or regional markets. 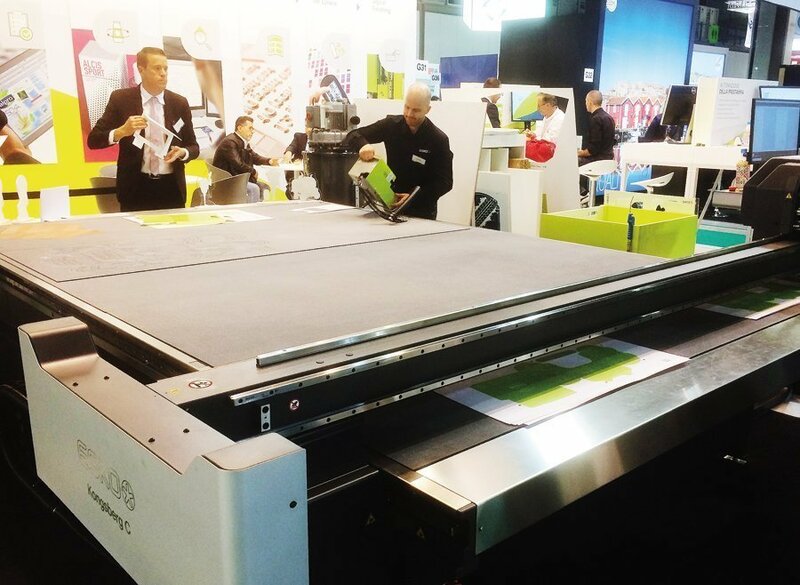 Print4All, with 200 exhibitors, a compact event bringing together the major European and Asian brands, was formed as a merger of Grafitalia, Converflex and Inprinting. Grafitalia used to be the fair where international brands interacted with local commercial, publication and packaging printers, whereas Converflex was the place for Italian manufacturers to present their packaging printing and converting equipment to an international audience. Inprinting was created as a small fair showcasing industrial inkjet and 3D-printers. Drastically decreasing attendance – Grafitalia and Converflex used to combine 900 exhibitors ten years ago – forced these fairs to merge and conclude a strategic partnership with Ipack-Ima, with another 1,500 exhibitors one of the main international events for Italian manufacturers of food processing and packaging equipment. Ipack-Ima also had to enlarge its offerings in order to stay in business, and included dedicated sections for the meat industry (Meat-Tech), logistics (Intralogistica), innovative packaging materials (Ipack-Mat) and glass packaging (GlassPack). 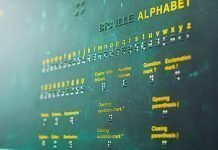 For visitors sourcing particular equipment or materials, it was not always easy to choose which section of this cluster of fairs to attend, as a bit of everything could be found in each of these. As an example, at the Plast fair, dedicated to plastic and rubber processing machinery, there were isolated exhibits by a Turkish flexo printing press, two dealers of second-hand flexible packaging machinery, and several suppliers of printing substrates, film extruders and 3D-printers. 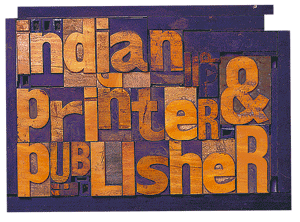 Not only at Print4All, but also at the packaging and processing fair Ipack-Ima, one could find printing presses, substrates, 3D-printers and converting machinery. Flexible packaging and label converters and other service providers were scattered all over the different fair sections. Some of the highlights across the different fair sections included recent press developments from Bobst, Cerutti, Epson, Gallus, Heidelberg, Konica Minolta, MGI, Mimaki, Omet and Uteco, ancillary equipment from AV Flexologic, Buehler, Cartes, Esko, Goebel, Rossini and many others, and, above all, ‘Industry 4.0’ hyped robots and Internet/Cloud connected equipment in practically all machinery applications. Close to 200 Chinese companies showcased bag and cup sealing devices, packaging and printing substrates, caps and closures, and a range of resin pellets and fillers. 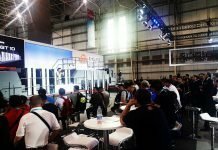 About 30 Japanese companies mainly had film extrusion and food processing equipment on show, and around 60 companies based in Brunei, Korea, Taiwan and Vietnam brought small ancillary equipment, compounds and substrates to the event. Russian, Ukrainian and Iranian exhibitors presented various paper and film substrates, and several Turkish companies had heavy machinery on show, including flexo presses, laminators, slitters and food processing equipment. 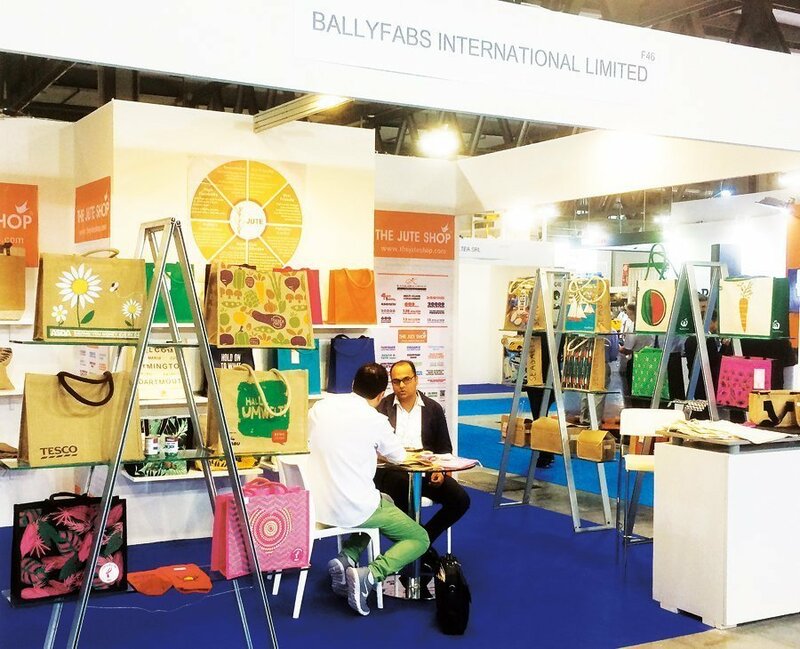 From India, Ballyfabs had a stand full of jute bags, Hindustan Adhesives, a division of the Bagla Group, showcased lamination consumables, Omega Plasto from Gujarat PVC compounds, and RR Plast and Supreme Petrochem, both from Mumbai, film substrates and extrusion consumables. 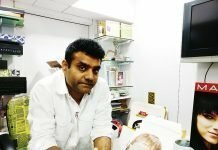 Yasho Industries from Mumbai shared a stand with its Italian partner Caldic, Mallak, also based in Mumbai, and Prayag from Alwar with their Italian dealer Pagliara, and Gujarat-based Rubamin with its Italian dealer Quimialmel. The Plast India Foundation, the All India Plastics Manufacturers Association and the Organization of Plastics Processors of India represented their members at the Plast show. At Print4All, Bobst brought its latest version of the M1 narrow-web press already shown at Labelexpo Southeast Asia, an 8-color M1 IoT with remote monitoring through the Cloud (IoT standing for the Internet of Things). Its mechanical line shaft construction and open architecture configuration had been fitted with a LaserJet semi-automatic pre-register system, the PrintTutor high definition camera system for automatic register control on each print unit, Ready carts for fast interchangeability of flexo, screen and hotfoil heads, and the Snowball and Bambi systems for high-speed waste stripping. Cerutti showed its latest R98X gravure press in an air chuck version for packaging and specialties printing. 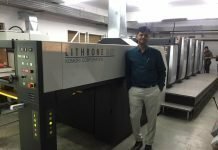 Epson focused its presentations on the SurePress L-6034, completed by a range of its ColorWorks systems. Heidelberg had a Versafire EV digital press on its stand, together with a Gallus Labelmaster 440 in an 8-color configuration. Konica Minolta drew crowds to demonstrations on its MGI Jetvarnish 3D for spot varnishing with 3D effects. Köra-Packmat, another MGI company, presented a multifunctional friction feeder, the BF2-300, while Mimaki had its JV150 and JV300 wide-format printers on show. The Omet X-Jet was shown in a configuration with the Durst press known from the latest Labelexpo series. Uteco focused its presentations on the digital Gaia press developed with Ebeam and Inx as well as its Rainbow laminator. Inkjet developments from Markem Imaje, Trojan and Videojet also attracted much interest. AV Flexologic presented several flexo plate mounting devices, whereas Apex, Buehler, Cartes, Gama, Goebel, Rossini, Tech-Sleeves and many others showcased various ancillary equipment, rollers, sleeves and control systems for the flexible packaging printing and converting sector. Many exhibitors showcased anilox roller and flexo plate cleaning systems. 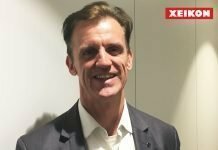 Esko showed upgrades on its Kongsberg X series of cutting tables, whereas Xerox in a collaboration with Cisco centered its presentations on network security for its digital printing engines. Color management systems including a new spectrophotometer could be found at the stand of Barbieri. In plastics forming, packaging processing, and packaging printing equipment, Italian manufacturers are still having a strong position on the world market, even though their market share is slowly diminishing. Last year, 63% of the machinery for the graphic, paper and converting industry produced in Italy were exported, amounting to EUR 1.7 billion out of a total of EUR 2.7 billion. Italian printers and converters imported EUR 500 million worth of equipment from abroad. India imported EUR 45 million worth of such equipment from Italy last year, an amount which has doubled within three years. According to the Italian machine manufacturers association UCIMA, the largest exporters of graphic, paper and converting machinery in terms of sales turnover by country in 2017 were Germany (27%), Italy (23%), China (7%), US (5%), Switzerland (4%) and Japan (4%).